Remember back in 2016 when sightings of a creepy clown stalking Green Bay made headlines and ignited a rash of similar sightings around the country? Well coulrophobes beware: Gags is back. In 2016 Wisconsin filmmaker Adam Krause posted 5 grainy photos of a creepy clown lurking beneath a bridge in Green Bay to social media. He was hoping to get the attention of the local media to spotlight his short film Gags. Major media outlets around the country started covering the story, and Gags the Clown went viral. So much so, in fact, that copycat clowns started turning up in other cities around country, causing fear and outrage wherever they roamed. That’s when Krause realized Gags had the potential for a feature-length film. He immediately got to work with writer John Pata to produce the Green Bay-filmed horror-comedy Gags. 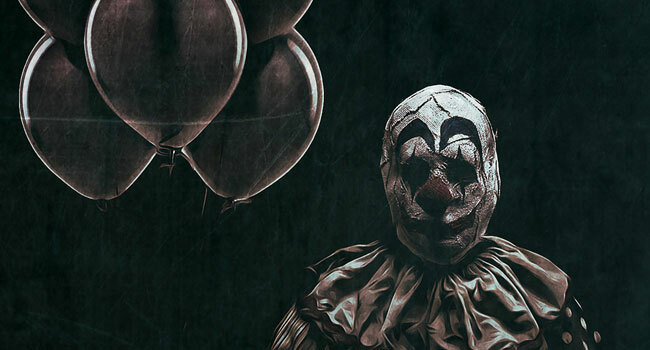 Green Bay, Wisconsin is terrorized by a mysterious clown who roams the streets late at night with nothing more than a handful of black balloons. The local news stations scramble to break the story on who he is and what he wants while a group of high schoolers see the clown’s arrival as an excuse to create a little trouble themselves. 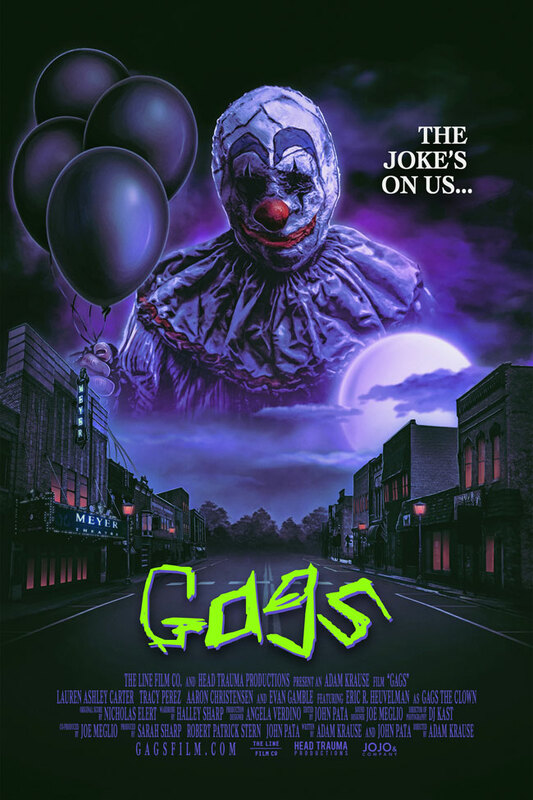 The police try to maintain order in a city that has gone clown crazy and a conservative podcast host vows to put a stop to the clown known as Gags while broadcasting his “clown hunt” on social media for the world to see. Gags hits the big screen on Wednesday, October 10th at the Meyer Theatre at 7pm in Green Bay. Cast and crew, including Gags himself, will be in attendance for a Q&A after the film. Tickets are available now at the Meyer’s box office and website.